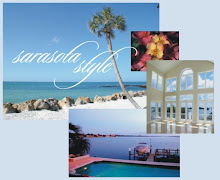 Condo on the Bay, Sarasota condos right on Sarasota Bay, offer residents outstanding views of the water. The boat docks at this popular condominium are being totally redone. The two buildings were built in 1982. Located at 888 and 988 Blvd. of the Arts, these condos are right across from the Van Wezel and Gee Whiz. Amenities include: heated pool, library/gathering room, exercise room, boat docks & tennis courts. Residents enjoy walking to Sarasota's fine restaurants, excellent shops, and Palm Avenue galleries. Pets are permitted in the 988 building at Condo on the Bay. Sarasota International Airport is within 10 minutes too! There is a concierge on duty and a 24 hour guard gate. 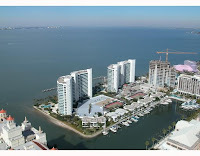 Currently the Sarasota MLS, report 15 active listings at Condo on the Bay. Prices are from $399,900-$1,000,000. Contact Annette Smith at 941-504-3922 if you are interested in any Sarasota condos or need more information on Condo on the Bay.